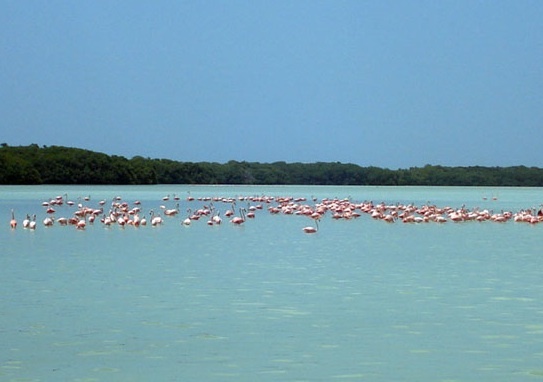 Surrounding the town is the 147,500-acre (600 km²) Parque Natural del Flamenco Mexicano (also known as the “Celestun Biosphere Reserve”), a wetland reserve that is the winter home to vast flocks of flamingos, as well as many herons and other bird species. 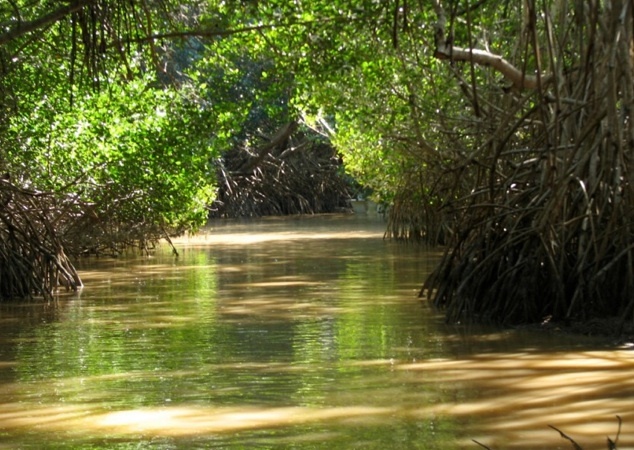 This location is set within the Petenes mangroves ecoregion. 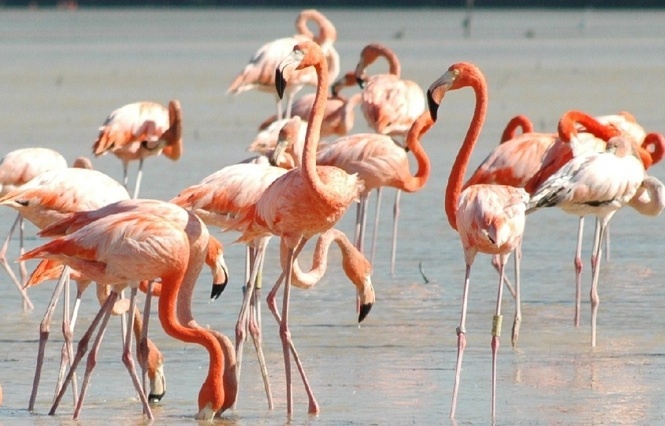 In addition, more than 200 species of birds pass through on migration, or live there. 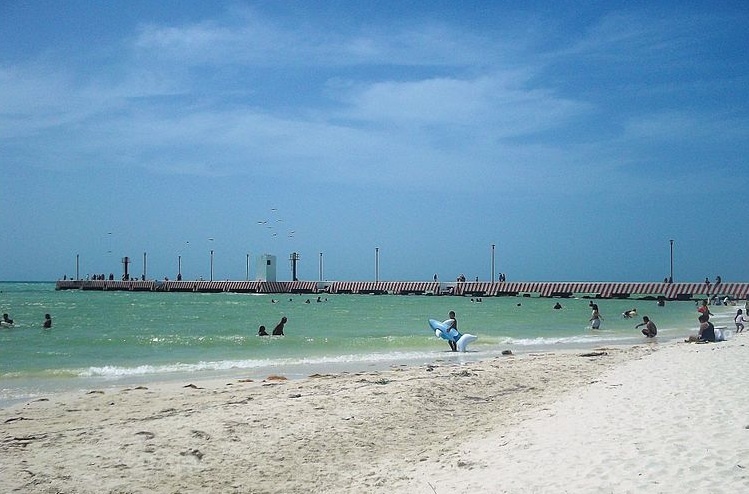 Celestun’s ecosystem is unique because of a combination of fresh water from the estuary and salt water from Gulf of Mexico. The reserve also has two types of pelicans – large white Canadian and smaller gray Mexican ones. Celestun is also known as a hatching ground for endangered sea turtles. Wildlife conservationists have an ongoing project to protect the sea turtles from encroaching modernization. 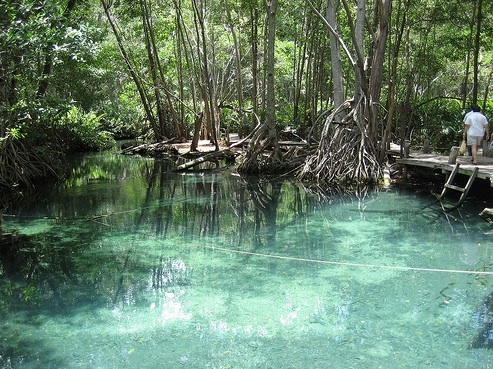 One of the busiest times for tourism is semana santa, when local Maya villagers from around the region visit Celestun. Local folk-catholic traditions are abundant during holy week, when the town’s patron saint is floated out to sea surrounded by candles, and visited by the patron saint of nearby Kinchil. 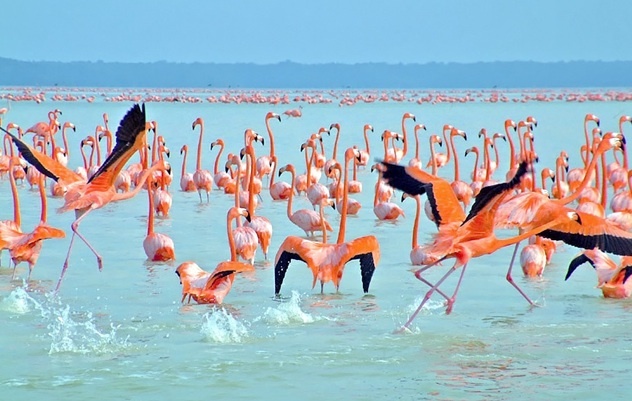 As the town of Celestun is the seat of the municipality (municipio) of Celestun, it attracts various carnivals, dances and musicians to its town square on a regular basis.